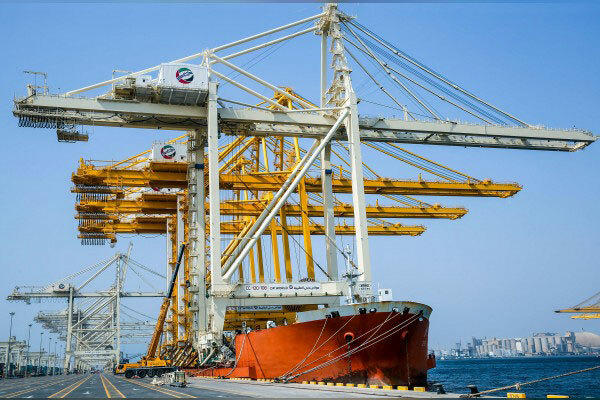 Re-exports registered 13 per cent growth to touch Dh299.2 billion, while imports reached Dh592.2 billion, and exports Dh97.7 billion, reported Emirates news agency Wam. Trade through free zones grew 22 per cent to reach Dh394.3 billion in the first nine months of 2018. Direct trade touched Dh562.8 billion while customs warehouse trade weighed in at Dh8.3 billion. Dubai’s seaborne trade grew 4.1 per cent to Dh362 billion and airborne trade grew 2.3 per cent to Dh449.4 billion. However, trade conducted through land transportation declined 13.6 per cent at Dh153.8 billion. Sultan Ahmad bin Sulayem, DP World Group chairman and CEO and chairman of the Ports, Customs and Free Zone Corporation, PCFC, said, "Hosting Expo 2020 encourages us to further enhance the trade and customs services and facilities provided by Dubai Customs to investors and traders. Work on e-commerce is progressing and is expected to further facilitate trade and support the economy." "PCFC has recently launched a number of initiatives to facilitate trade as part of the vision of His Highness Sheikh Mohammed bin Rashid Al Maktoum, Vice President and Prime Minister of the UAE and Ruler of Dubai to transform Dubai into the smartest city on earth. These include NAU, the smart platform that facilitates cargo activity reservation for traditional dhows on Dubai creek, which will make it more organised and facilitate the bustling movement of dhows across the creek and Port Al Hamriya," he added. Director of Dubai Customs Ahmed Mahboob Musabih said, "We have an integrated strategy in place to develop external trade performance in line with the vision of His Highness Sheikh Mohammed bin Rashid Al Maktoum and the guidelines of Dubai Plan 2021 and the UAE Centennial 2071. We are closely watching the changes taking place in international trade and we will turn challenges into opportunities by entering new markets and expanding our existing ones." China maintained its position as Dubai’s biggest trading partner in the first nine months of 2018 with Dh102.9 billion worth of trade. Trade with India registered 16 per cent growth to reach 86.2 billion, followed by the US in third place with Dh59.6 billion. Saudi Arabia remains Dubai’s largest Arab trade partner and its fourth largest global trade partner with Dh38.6 billion. Phones of all types topped the list of commodities in Dubai's foreign trade in the first nine months of 2018 with Dh111 billion worth of trade. This reflects the advanced status of the communications sector in Dubai and its vision to turn into the smartest city on earth. Next on the list was gold with Dh110 billion worth of trade, followed by jewellery with Dh78 billion, diamonds with Dh69 billion, and cars with Dh49 billion.